House with pool, air, WIFI, soccer field, up to 16 people. 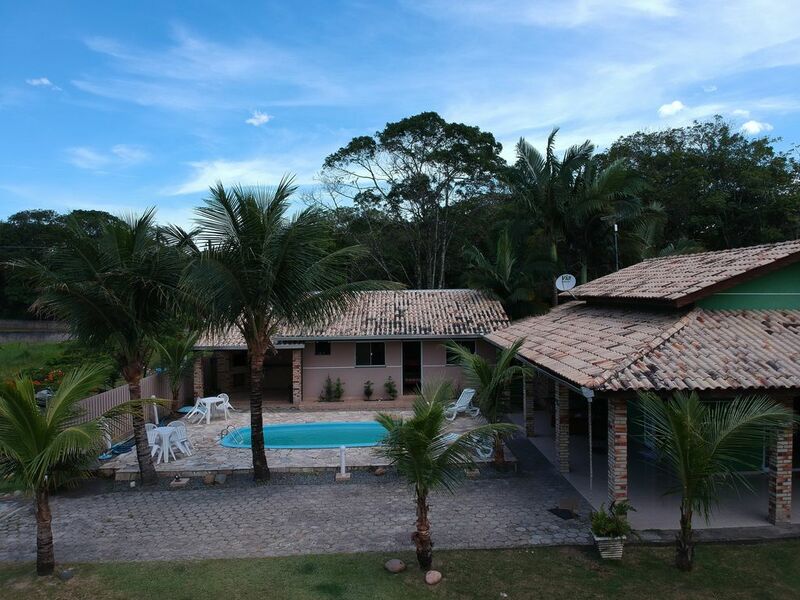 Casa Verde, with 4 bedrooms, 600 m from the beach, sleeps up to 16 people. With 4 bedrooms, swimming pool, barbecue, private football field, sleeps up to 16 people, 4 bathrooms, two bedrooms suites, living room and kitchen, two bedrooms have air conditioning, the house also has WIFI. Note: In the rates, the pool cleaning is included, which will be done every day in the morning and at night. Quiet beach, suitable for bathing, and clean. Quieter region, and with option for agito to 7 km, in the center of the city.